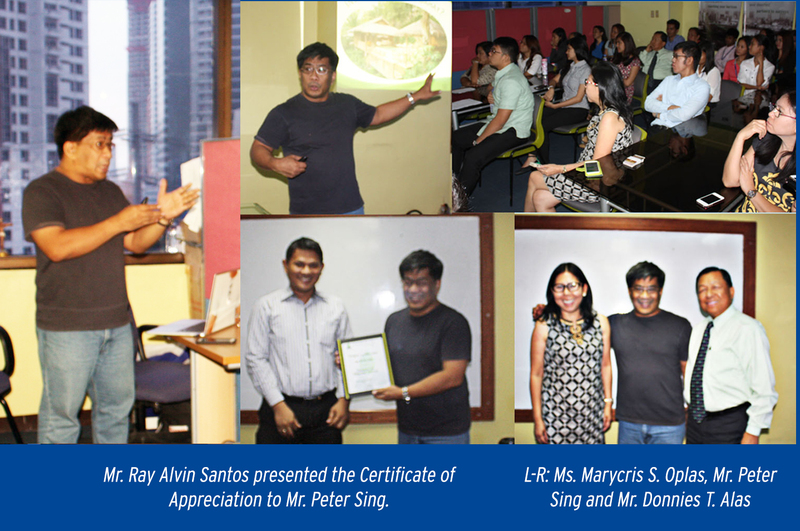 JUNE 3, 2015, Mr. Peter Sing, a Financial Literacy Advocate, talked about easy steps to a healthy wallet to Alas Oplas and its alliance firms during breaktime. Mr. Sing, a graduate of UP Diliman, has been going around the country to educate Filipinos on financial preparedness. To guide all enrolled members of Alas Oplas existing Health Benefit policy with Maxicare, Policy Member Orientation was conducted last July 1, 2015 by Ms. Prislette Rosero, Maxicare authorized representative. Thru the program, members are now informed about the rules and procedure of medical availment. Also introduces during the orientation is the Maxicare Membership gateway, an online account for all the members that provides convenience and accessibility to any member related. Maxicare is one of the pioneers in the Health Maintenance Organization (HMO) Industry. They offer high quality health care services to the Filipino people for more than years. For over 5 years, Maxicare has been with Alas Oplas & Co., CPAs in providing comprehensive health care benefits to all its qualified enrolled members.